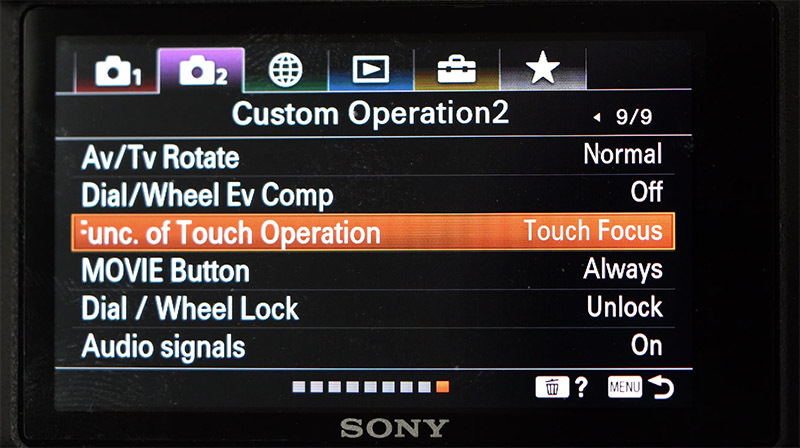 If you want to make use of touch tracking on the Sony a6400 to track a subject when shooting videos/movies, then there is one simple setting in the menu that you will need to change. 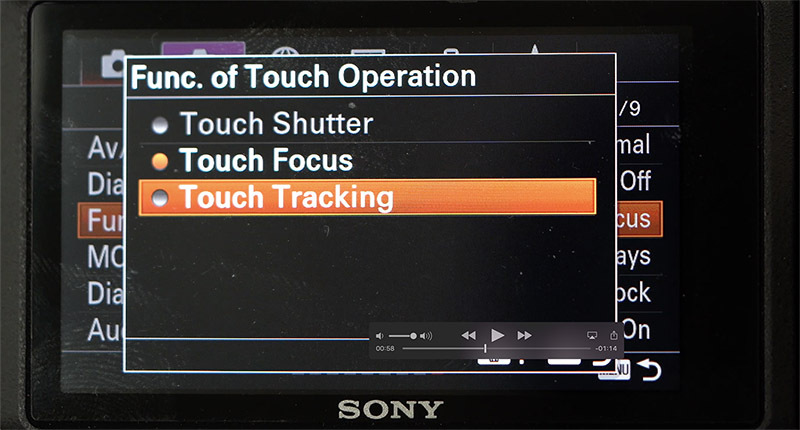 When in video mode (on the top dial) the default touch operation of the Sony a6400 is “Touch to Focus”. If you want to track a subject then you will need to change this to “Touch to Track”. Don’t worry it really is very simple. Just hit the menu button on the back of the camera. Now select “Camera Settings 2” from the top menu, move down and scroll across till you reach page 9/9 which is titled “Custom Operation 2”. Now scroll down this menu and select the option “Func. of Touch Operation”. By default this is set to “Touch to Focus”. Simply change this to “Touch Tracking” and now when you are shooting video and touch a subject you should see a white box appear around the subject and all being well the a6400 will track it wherever it goes. If you have any questions on the Sony a6400 just drop them in the comments below or join our Sony a6400 Shooters Facebook Group which grows a little larger everyday.